I got invited to this party too. Lulu has been writing college application essays. For the past few months she’s been talking through them with me. Often that’s meant she comes home from school on a Friday afternoon all worked up and wanting to talk. I’m not sure what it is about Friday afternoons, but one thing I know about writing inspiration is that you should indulge it when it hits. So I’ve tried to drop what I was doing on those fired-up Fridays (another day, inbox!) to hear what she had to say. Mentoring her through this process mostly meant that I listened to her ideas, and talked to her about them. I took notes when she asked me to, or when she said something that had her particularly riled up. I occasionally offered suggestions for how she might write one of her ideas, but honestly, she rarely took my suggestions. My suggestions only seemed to have the effect of making her more sure of her own. (Interesting how that works.) I looked at her drafts and underlined places that seemed particularly powerful, after asking her to do the same first. I helped her figure out where to cut and tighten when her word count was too high. Before she submitted, I proofread for spelling and grammar. Her essays completely morphed throughout this process. She scrapped topics and drafts and figured out which parts of her she wanted to share. She came up with an essay that pleased her. I loved being invited to the party. I earned that invitation. 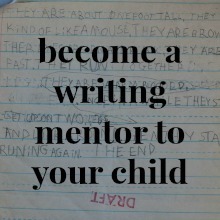 I earned my role as a mentor to Lulu and her writing every time I held back from teaching her how to write over the years, and listened to what she needed instead. Sure, I screwed up at times, giving instruction when instruction wasn’t wanted, but apparently not enough to keep her from coming back for my help. How do you offer constructive feedback on your kids’ writing? How do you help them improve without discouraging them? I also learned that teens–and some younger, particularly avid writers–are more likely to want to revisit their work and rework it. Keep remembering the power of positive feedback. I already went on and on about this in my last post in this series, but it’s worth repeating and repeating and repeating. Positive feedback is not only encouraging, but if your positive feedback is specific and detailed, it can be instructive. More instructive than you may realize. Ask kids what they want feedback on. Where do they need help? Kids will be more likely to learn from your insights if your suggestions are based on what they actually want to improve. Ask them to think about what they’d like help with before you read their work. They might not be able to voice such requests at first, but may get better at it the more you work with them. This can help them see you as an ally, rather than a critic. If your kids are open to instructive feedback, focus on one or two things to improve. For one, you want to keep the ratio of positive/constructive feedback very high if you’re trying to earn mentorship status. Also, kids are more likely to take in suggestions if those suggestions are fewer and focused. Too many suggestions overwhelm and discourage. Choose carefully. (And keep spelling and grammar out of the equation for now. See below.) In my writer’s workshops, I have participants consider the following questions when offering feedback: What confuses you in the piece? What would you like to know more about? Your responses to these questions are likely to be useful, without seeming like you are attacking your child’s work. Consider responding in writing. I discovered how useful written feedback could be for kids by chance. At twelve, my oldest was writing a review for a magazine, and I offered the same sort of written suggestions on his draft that my writing group gives to me. He loved it! I noticed that written feedback from a parent has less of a tendency to feel loaded than verbal feedback. I could take time to be thoughtful about what I wanted to convey to my son, and he could consider what I wrote without me looming there and expecting a response. If offering feedback on hand-written work–which is a labor that can feel very personal to the writer–don’t make your notes on the piece directly. Consider using Post-Its so your child doesn’t feel that you’ve taken over and vandalized his or her work. Melissa of Imagination Soup has a nice post on responding to a child’s work, complete with a photo of how you might respond with Post-Its to a younger child’s work. Once you’ve earned your child’s trust and have been offering this sort of feedback for a while–and he or she has responded well to it–you might move into offering more thorough, line-by-line feedback on a written draft, if your child wants that. Older kids–perhaps those moving into their teens–are often ready for this. You might even come up with a system for conveying the many things you like (underlined words and sentences, + signs, check marks, smiley faces) and those that make you pause (wavy lines under confusing lines, for example.) Make sure to support such symbols with written insight too: This description is vivid. I can see it! You want to be specific about what you like and why you like it, and what you wonder about. Continue to keep the positive/constructive ratio high. Remember that you are offering suggestions. 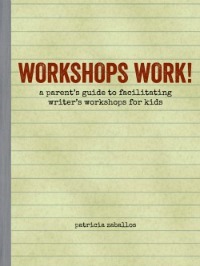 The writing belongs to your child. He or she needs to own it. Your suggestions should be just that: suggestions. Offerings for the writer to take or disregard at will. If you want to encourage thoughtful, effective writers who know how to make independent decisions about their work, you need to allow them this freedom, this power. This is what I’m trying to get at here: the more you offer rather than push, the more you encourage rather than demand, the more likely your kids are to value and seek your input in the long run. Phew! It feels almost as good to tie up this series as it felt to watch Lulu hit the send button on her first college application. What started out as a blog series somehow wound up as a synopsis of my mostly closely held beliefs about kids and writing. Anyone who has traipsed through all these posts with me deserves a prize. Or a party. If there’s more you want to chat about, fire away in the comments. You can read all the posts in this series here. What a wonderful wrap up! Lucky for me, it came on a day when I needed to be reminded of this. My family has put writing on the backburner so far this year. I’ve worried about it. Last year, the kids wrote reviews of books, video games, essays to persuade me to let them get a particular video game (see a theme here?) and lots of letters to Great Gran. I felt their writing really grew through these pursuits. Over the summer, my grandmother passed away. I’ve missed her terribly, of course, and now… who do we write to? I’m feeling ready to move on now. Purpose in writing is needed not only for the writer, but it certainly helps the mentor, too. Your mentoring me has given me insight and focus. I’m sorry about your grandmother, Nancy Carol. What a wonderful connection for your boys to have had. What a loss. I learned from your post about teaching boys to write the art of dictation, and we’ve written many stories this way, where my kids tell me the story and I write it down on a notepad. Then, they re-write or type it in, making adjustments along the way. I love dictation because it allows them to speak freely and not be burdened by spelling/grammar. (My kids are younger – 4, 7 & 10). Last night my 10 year old was writing on his own, read us his story (and got lots of laughs). He told me that he loved this writing project and that it gave him a “tingly” feeling. So THANK YOU for your words of wisdom on writing. They’ve helped this family! I am so happy to hear that dictation has been a helpful tool for your family, Lisa! Love how they “make adjustments along the way” as they re-write or type their words: isn’t it neat when kids do that sort of revision on their own? Most young kids fight revising! And oh, your 10-year-old feels tingly about his writing! You can’t ask for more than that. Hooray! This is great. I don’t have writers in my house just yet, but I do have a little one working on it. After many months of expressing interest in learning to write letters but not wanting to be taught my 4 year old has finally come around to the idea of learning how to physically make the letters. I only asked on occasion if she wanted to try it out and she would always say no. Then one day I asked and she said yes. So I got out a small tray and some clean sand and showed her a few easy letters and before long she was showing me letters she already knew how to do but that I hadn’t taught to her. Then the other day she walked up to me with handmade book filled with letters and pictures. It brought me almost to tears! 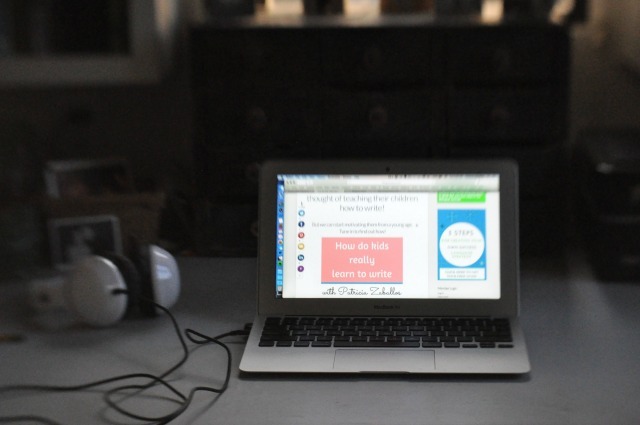 “Instead of teaching, … encourage a literate, word-loving atmosphere in your home.” This. Yes. And it’s so easy! And fun! DS8 is reading and writing with enthusiasm. Unfortunately I have caught myself correcting his punctuation and lack of capital letters. Ugh! He is writing a book on dragons. It’s the new passion here at our house. They play dragon games on the internet, dragon games off of it, read books on dragons, watch movies on dragons and now they are writing books on dragons. Jesus help me to encourage him and not correct the grammar errors. Thank you for this post. I needed a reminder today. Tereza, you write “DS8 is reading and writing with enthusiasm.” Clearly, you are doing good things in your home! It’s great when kids have a passion like those dragons; it can make it so much easier to find writing opportunities. See if you can look past the punctuation and capitalization and put your attention on the specific things you admire in your son’s writing. Try asking your son to read his work aloud to you so you don’t see it. That can be a very effective way to help you change your focus. I wonder: does your son seem bothered by your corrections of his punctuation and capitalizing? Since he’s making a book, you could ask him whether he’d like you to help him fix spelling and capitalization errors in that book. Sometimes when kids work hard at something and are really proud of it, they want to make the fixes. If he wants to fix things, you might ask what type of punctuation he wants to fix. Rather than trying to perfect the whole thing at once, see what he thinks he needs help with. Kids are more likely to learn a skill if they don’t work on too many skills at once. If you want to be a mentor, it’s better to establish yourself as someone who can help with this sort of polishing, rather than someone who demands it. Tereza, if you have doubts that you should be helping your kids fix all their errors (because that’s what school trained us to do) ask yourself: Have my kids improved at these skills over time? Even a little? If they’ve improved, they will continue to improve. Getting better at skills like spelling, grammar, punctuation, etc. in teensy increments adds up over time. Meanwhile, you want them to keep “writing with enthusiasm” just as you’re doing. That’s what matters most! Wow! I stumbled upon your blog after reading your camping email. I have so many thoughts rumbling around in my head about project based learning at home vs. in a school and how different that looks. Now to read your post about writing has my head spinning. I’m trying not to give myself a hard time, I’ve really grown since beginning this homeschooling journey but have so much more to learn and wish I could freeze time so that I can soak up as much new information before my boys get much older. So many of your suggestions resonated, a few I already do but many I hadn’t thought of. The strongest point that stands out is when you describe being a mentor rather than a teacher. I love that. I now want to go back and read your previous posts in this series. Thank you for your wisdom in this. Hi Debbi! So nice to see you here! Homeschooling is such a journey, and you’ve only been at it for a short time! 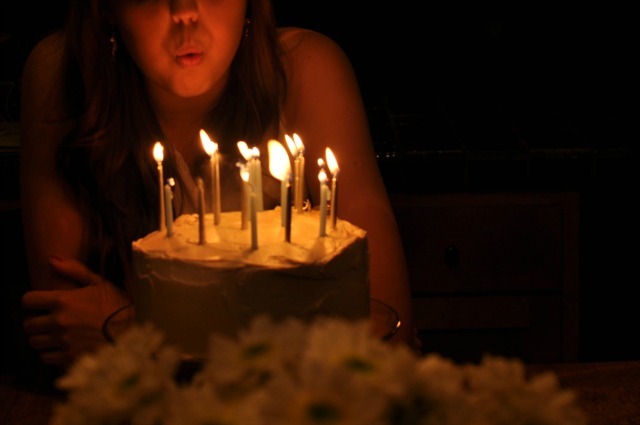 I’m in my 17th year (gasp! )–there was a lot of evolving needed to get me where I am now. My hope is that sharing my experiences here might save some of you from my own missteps, and help you find your way a bit faster. You write, “The strongest point that stands out is when you describe being a mentor rather than a teacher.” The great thing about this is that if you keep it in mind, it will help you decide how to approach things, no matter what your boys are learning. They’re at such a great age for this, and are now far enough away from their school experiences that they’d probably respond well to a different approach. Even if you try it in baby steps. I am a complete geek about approaches to learning, and writing in particular, and love to talk about it. If you ever want to chat at Park Day, pull your chair over and let’s dig in! I’m taking a course through Adobe’s education exchange. They have started a discussion about assessment and critique of creative work. I just wanted you to know that I will be referencing this post in my comments on the topic, because I think your method applies to so much more than writing. You are absolutely right, Kerry, these ideas are applicable to any sort of creative work. There might be a few other helpful ideas for you in this post I wrote for Spilling Ink; it’s not written for parents, but for kids who want feedback from other kids on their writing. http://www.spillinginkthebook.com/creativity-blog/2012/11/26/5-tips-for-offering-feedback-to-a-writer-plus-ebook-giveaway.html Most of the ideas are similar to what I’ve written here–the guest post was the impetus behind this series–but it has a few different ideas, I think. Loved these suggestions. Will share. We’ve (a group of mums) just started a blog to encourage our kids to write..but constructive feedback is still lacking. Still knowing there’s an audience is an inspiration to write. What a fantastic thing you mothers have done in giving your kids this audience for their writing! It’s always a treat for me to see young kids’ writing. There’s so much voice there! Mostly, you simply want to help them hold on to that, and to help it grow. I wouldn’t worry to much about constructive feedback. The kids will let you know when they want more help, if you don’t push it, and if you pay attention. Thank you for sharing your wonderful site!